If you have been following my travels, it will come to no surprise that I was in Florida over the holidays. 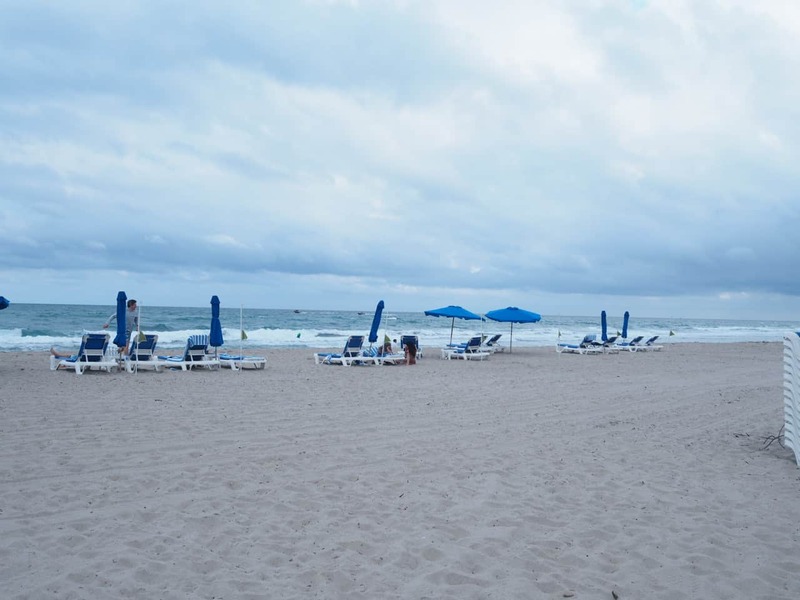 We road tripped around southern Florida and stayed at the Palm Beach Marriott Singer Island Beach Resort and Spa. Where the heck is Singer Island you ask? 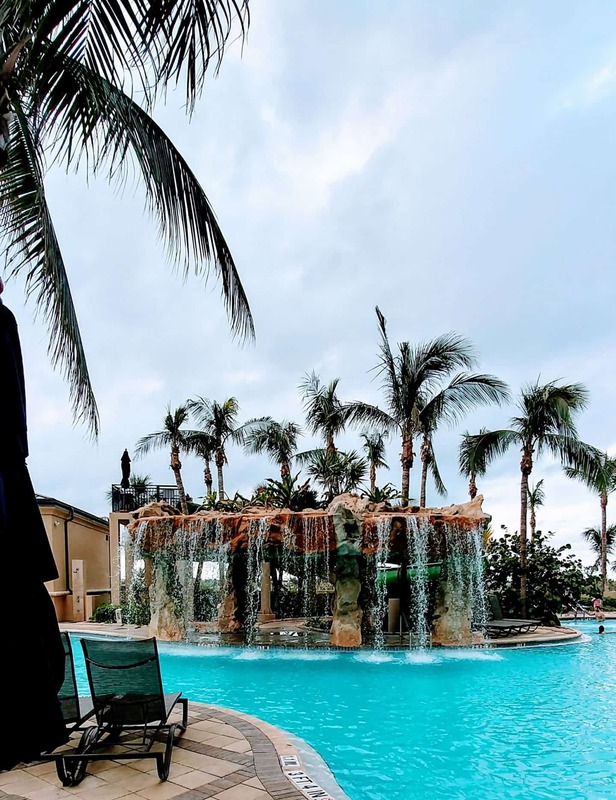 It is located in northern Palm Beach, just a short drive from the famous Worth Avenue in Palm Beach. We were excited about our visit as Singer Island has one of the best beaches in the Palm Beach area. 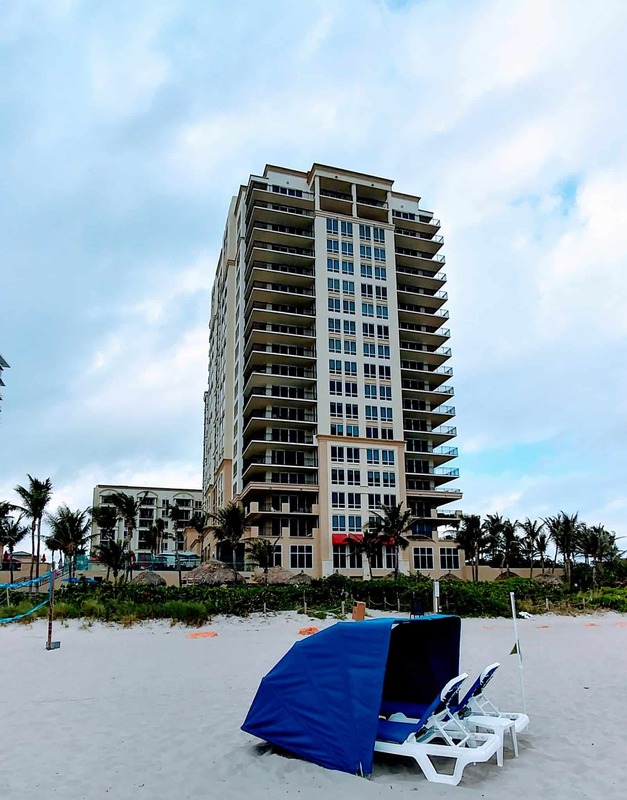 The Palm Beach Marriott Singer Island Beach Resort and Spa is the only all-suite beachfront hotel in Palm Beach. We were quickly checked in and whisked up to our suite. Imagine the looks on our faces when we entered our suite, we all looked at each other grinning. 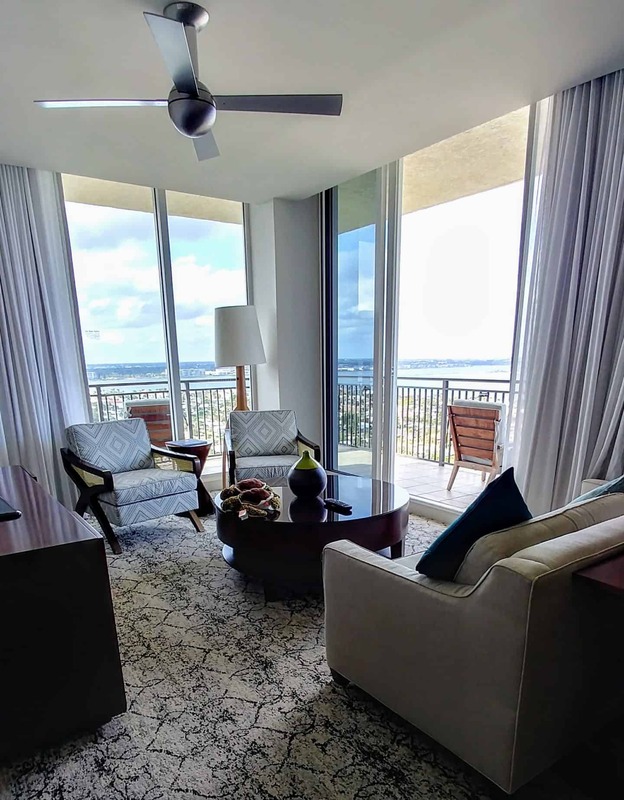 We stayed in a two bedroom suite with Intracoastal and beach views. 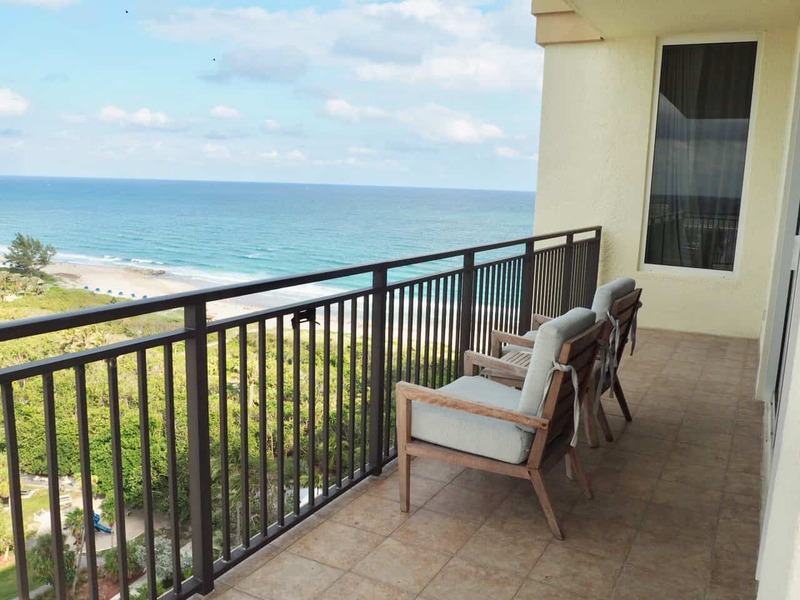 The views immediately had us gravitating to the wrap around balcony. My daughter quickly pointed out that she wanted to live there. It truly felt like home away from home. 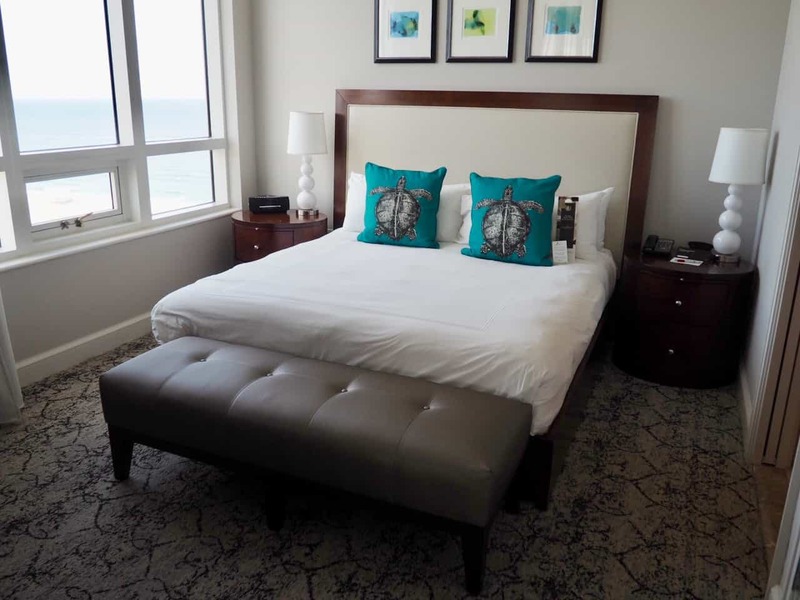 The suite consists of two bedrooms, a kitchen, a laundry room, a living room and a wrap around balcony with gorgeous views of the beach. With views like this, who would want to leave! As I stepped outside onto the wrap around balcony, I could quickly see why this is the number one hotel for couples and families. Just below our room (23 stories down), we could see the kid’s lagoon outdoor pool with slide. There is also an infinity pool located closer to the beach. We could of easily stayed in our suite for the entire stay. We decided to head out and explore the property and enjoy a drink at the Reef Tiki Bar. Just outside the enormous lobby is an inviting and cozy lounge with fire pits that would be great for some quiet time with a drink or coffee. A few steps away is the fabulous infinity pool that majestically overlooks the beach and ocean view. Lined with comfy loungers and private cabanas, this is the heart of the hotel. Not far, in another corner of the hotel is the lagoon pool with a winding slide which for families with younger kids is a dream come true. A few steps down from the infinity pool and the beach is a cute little tiki bar that is perfect for a snack or cocktails. The Marriott Singer Island hotel sits on a fabulous stretch of private beach with a section of reef that would be great for scuba and snorkelling. 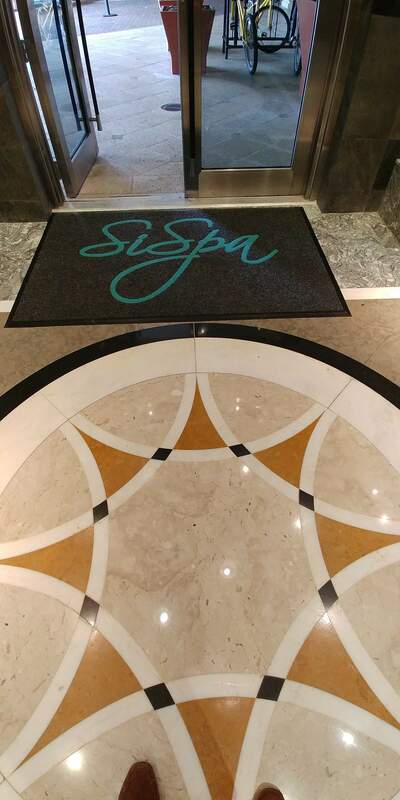 The SiSpa was named one of Condé Nast Traveler’s Top 100 U.S. Resort Spas. The spa houses eight treatment rooms, a private outdoor jacuzzi, and several steam and shower areas. After checking into the spa for my facial, I was escorted to the change room where I quickly changed into their comfy robe and lounged in the tranquil relaxation room. From the moment I entered the spa, I knew I was in for a treat. I was whisked away to the treatment room where my skin was examined and specific products recommended for my skin’s needs. It was so relaxing lying there and being pampered. After my facial, I could immediately feel the difference in the texture and look of my skin. My skin was soft, smooth and glowing…….literally it was glowing. My skin looked so good that when I was checking out of the spa a woman stopped to ask me what I had done at the spa. She said that my skin was glowing and immediately walked in and booked the same treatment. Breakfast at the resorts signature restaurant 3800 Ocean was the perfect beginning to our day. 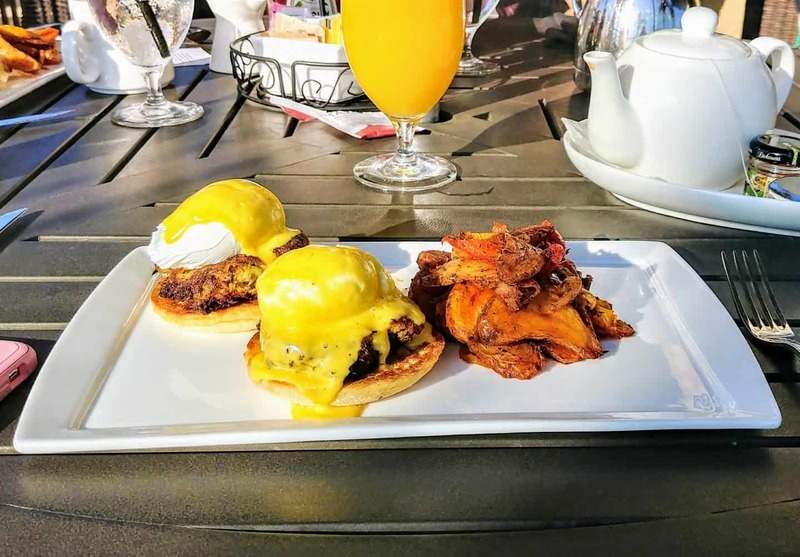 We ate our breakfast on the outdoor patio overlooking the sunrise. 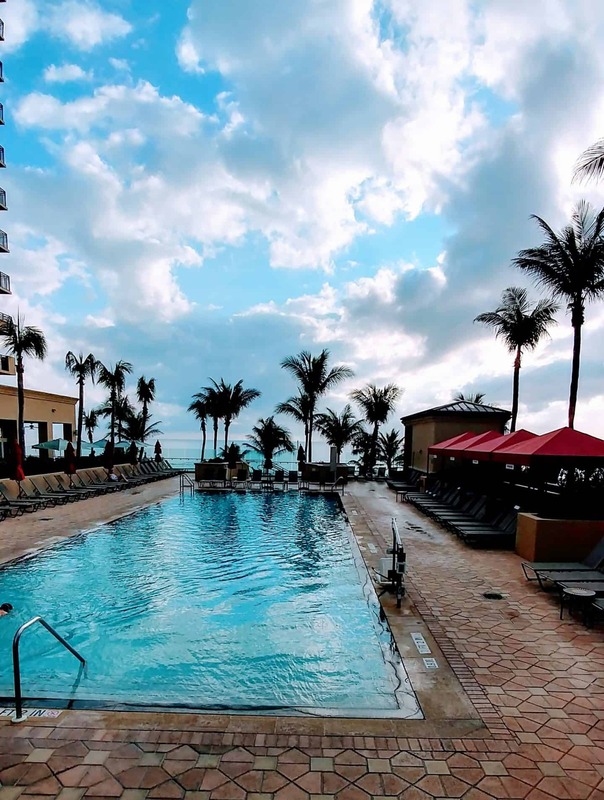 When we look back at our time at the Marriott Singer Island, the one thing we remember most is the incredible comfort of our stay. This is a hotel that feels like a luxury condo. 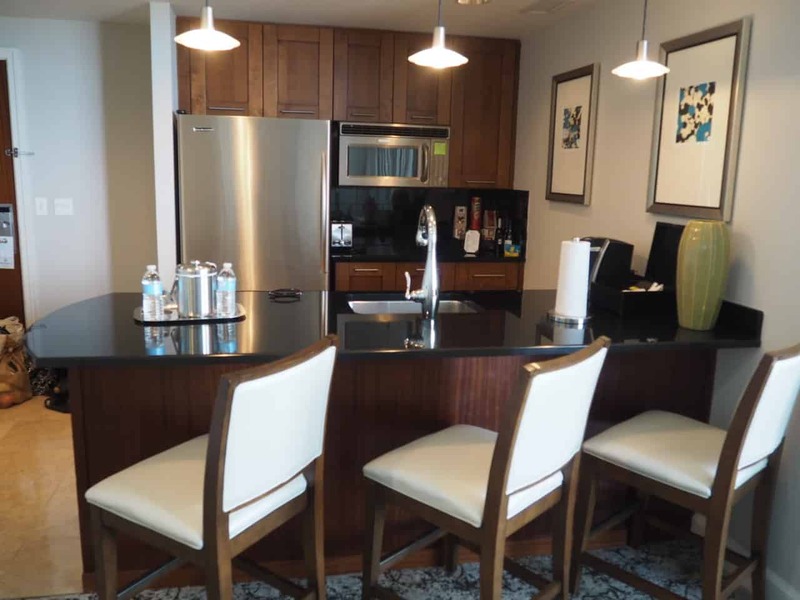 The stylish and modern suite complete with a kitchen would be perfect for an extended stay with family or friends. Fine dining, luxurious spa treatments and lounging at the pool or beach is waiting for you. 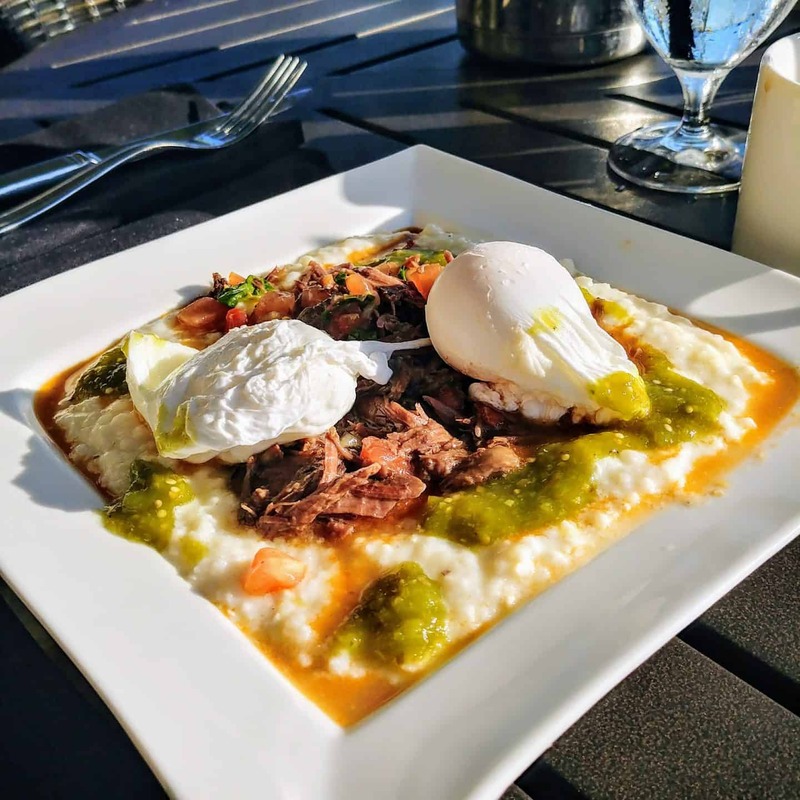 This post is written in partnership with Marriott Palm Beach Singer Island. As always, my opinions are my own. A huge thanks for a wonderful stay.